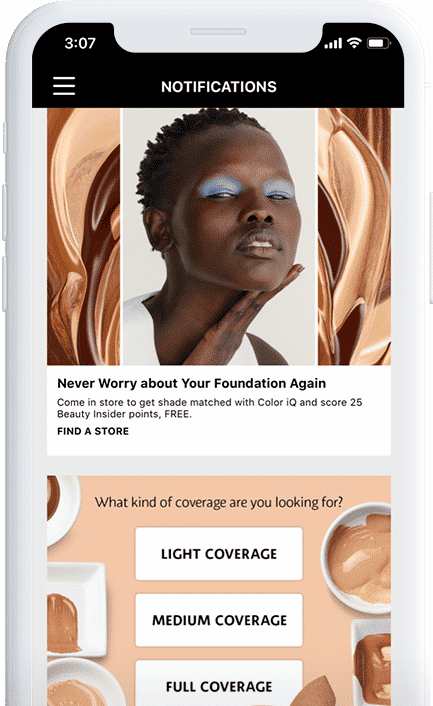 Sephora’s obsession with its customer journey continues to differentiate the global beauty brand as once again, it reigns supreme in the Index, now with perfect scores across email, web, and mobile. Sephora allows customers to keep track of each purchase location, choose between favorite store locations, and quickly locate one of the beauty empire’s 2,300 worldwide storefronts. Sephora builds loyalty and continues to boost profits by offering in-store services to customers (like appointments with makeup professionals), and even a virtual reality makeup try-on app. Sephora retains its balance in a digital-obsessed landscape -- ensuring its online presence doesn’t overshadow the in-person experience that consumers can gain through interacting with Sephora’s products and brand. As such, digital channels effortlessly work to drive consumers to store and have relevancy before, during, and after in-store visits. Sephora’s customer experience offers a seamless integration across all channels, including its physical stores. You can begin shopping on Sephora’s website and find the same products waiting in your cart on the app, with relevant push notifications and in-app messaging about products you’ll love or items you forgot to purchase. 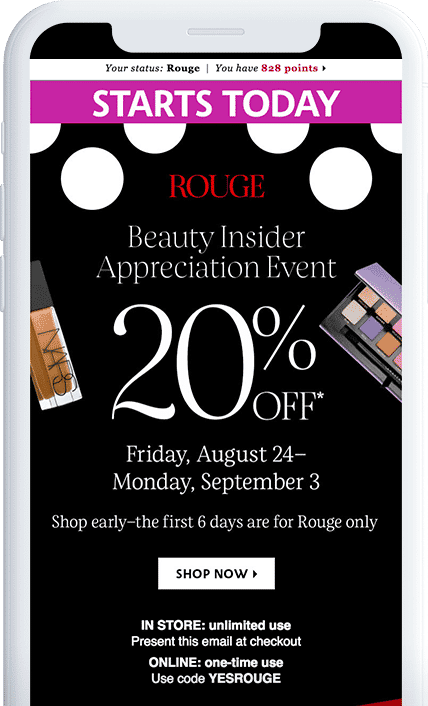 Sephora’s tri-tiered “Beauty Insider” program is abundant with lavish rewards and gifts, allowing shoppers to rack up points and redeem deluxe products or physical experiences. It’s an on-brand experience tailored just for you, to enjoy on any channel (or all at the same time), as your points and status are always connected onsite, in-store, in-app and in-email. Sephora’s best-in-class mobile app leads in customer experience and personalization. 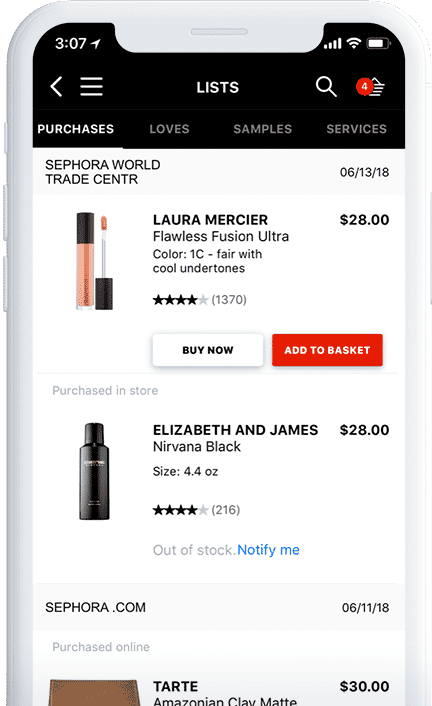 Aside from the bells and whites like virtual try-on, Sephora’s in-app notification center serves as your own personal inbox of unique beauty picks, product quizzes, purchase history and discounts.